Improvements made at AHDB Pork’s Focus Farm since its launch in May 2016 are starting to show results, which were recently shared with the wider pig industry. Sixty producers and allied industry personnel were recently given an update on the project by the host farmer David Goodier and his staff and AHDB Focus Farm team members at a meeting in Wetherby, writes Stuart Lumb. The project, part of AHDB’s wider Farm Excellence Platform, aims to improve the physical and financial performance of the Focus Farm through ideas generated from farm tours and brainstorming sessions. AHDB’s Charlotte Evans, who heads up the project, said the many improvements suggested at Mr Goodier’s 250-sow farrow-to-finish unit, near Preston, in Lancashire, were now bearing fruit. One initiative put in place is the tagging of each piglet at birth with a UHF tag costing 30p. A reader at the slaughter house enables valuable data to be obtained on each pig for analysis at a later date. Suggested improvements have led to pre-weaning mortality, initially 15%, dropping to 5.8%, although this has crept back up to 10.1%, just above the 10% target. 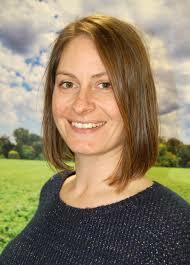 AHDB Pork’s communications team has welcomed Helen Brothwell back in a new role following maternity leave. As marketing communications manager, she will now be working primarily on the Focus Farm and EU PiG projects which are both key to AHDB Pork’s knowledge exchange strategy. She said: “It’s great to be working with the knowledge exchange team to keep pig producers and processors informed and get them involved in two important projects for the industry. It’s really motivating to be able to help levy payers find new ways to benefit their businesses.